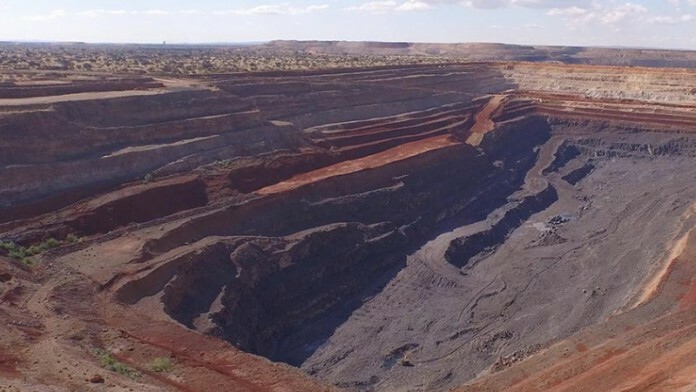 PALLINGHURST Resources is considering exiting its investment in Tshipi é Ntle Manganese Mining (Tshipi), a manganese miner operating in South Africa’s Northern Cape province. This could be through either a trade sale or a public listing. The Johannesburg-listed miner said in commentary to its annual results statement today – in which it posted heavy write-downs of its platinum and colored gemstones divisions and an overall loss of $81m – that it had hired Bank of America Merrill Lynch to advise it on its options in respect of Tshipi. Pallinghurst’s investment in Tshipi has arguably been the most successful. Tshipi has paid out R1.5bn in dividends over the past 12 months, but Pallinghurst’s involvement is through an 18.43% shareholding in Jupiter Mines which has 49.9% stake in Tshipi. Of the R1.5bn in Tshipi’s dividend payments, Pallinghurst booked $10m (R133m at the current exchange). Tshipi sold 2.3 million tonnes (Mt) of manganese ore in its financial year to 28 February 2017 – a 53% increase over the previous financial year – and has targeted three million tonnes in production for the current year. In exiting the company, Pallinghurst will make much of Tshipi’s market position as the largest exporter of manganese ore from South Africa with 1.3Mt sold in the first five months of the year. At the current run-rate, it is also the third largest seaborne manganese producer globally. There were problems, however, at Pallinghurst’s other investments. Gemfields’ share price was under heavy pressure in London where it was listed prior to Pallinghurst buying shares it didn’t already own in the business. Despite a rival offer of 45 pence/share being made for Gemfields during the buy-out process, the share price of Gemfields declined to 32p/share. On this basis, Pallinghurst was forced to write-down its investment in the company by $64m accounting for 79% of the $81m loss suffered. The balance of the loss consisted of a write-down of Pallinghurst’s stake in Sedibelo Platinum Mines (SPM) of some $16m. As a result, Pallinghurst said it had undertaken “drastic” restructuring at SPM in an effort to lower costs and withstand current poor pricing for platinum. Sedibelo’s subsidiary, Pilanesberg Platinum Mines, dispatched 62,000 ounces of 4E platinum group metals (PGM) in the half year, down by 23% over the comparative period in 2016. The company did not envisage an increase in PGM production as it would focus on cash preservation, it said. It was a combination of these factors which stood behind a decision by Pallinghurst to end its 10-year investment structure in favour of becoming an operating company, hence the takeover of Gemfields. It was a transition described by Arne Frandsen, CEO of Pallinghurst today, as “… one of the most important in PRL’s (Pallinghurst’s) 10-year life”. There will be particular focus on the future performance of Gemfields, especially at its Kagem emerald mine in Zambia which produced the lowest level of stones in seven years. Recent auctions for emeralds and rubies, which are produced at Pallinghurst’s Montepuez ruby mine in Mozambique were described as promising. The share price tells a story. The stock was down 5% in Johannesburg which, at R2.47/share, is the lowest level in about four years. Pallinghurst is currently valued at R3.47bn. Lies Lies Lies thats what Pallinghurst are about. Sedibelo is valued at $3bn from a competent persons report – is that an “incompetent person”? They produced 62 000 ounces at a huge loss and PRL management now value that low grade- low recovery mine at $1.5bn(R20bn) this compares with Impala’s Market cap of R27bn and Northam’s Market Cap of R24bn. The mine should have been shut years ago – but that would have hurt Gilbertson’s management fee which was based on NAV. The reason PRL is sitting at R2.47 is because the fat cat management team all earn $50 000 per month (R672 000) in salaries and with 5 of them the annual management fee for an poorly performing investment trust is $3m (lets not mention the fat bonuses and the high share options awarded). Nothing but lies have ever come from Pallinghurst. Sedibelo is valued by an Incompetent Independent at $3bn. Management now value it at $1.5bn (R20bn) by comparison Impala and Northam’s market caps are R27bn and R24bn. The reason why Pallinghurst trades at R2.47 is the $3m annual fees that the 5 strong management team will earn for the next 5 years – and lets not mention the lucrative bonuses and the share options. Frandsen is right, the transition to an operating company was the most significant in 10 years! It allowed management to effectively extend their cost to shareholders for 5-50 years, after 10 years of dreadful performance and heavy management fees! They must have some of the dumbest shareholders in the game! This is not the team to back, unless you are keen on knowing what it’s like to spend a night in Alcatraz or Polsmoor! Abusing shareholders and investors is NOT a recipe for success. Pallinghurst is posterchild of such blatant abuse of shareholders. This fund/miningco raised $2Billion when it was founded, and has squandered all that to what is now remaining Invested Capital=$393M left. That is $1,6bn ( 1,6 BILLION UNITED STATES OF AMERICA CURRENCY) has disappeared. Thats serious investor funds distraction whilst Brian & his son receive a cool up-front yearly stipend ( Investment Manager Benefits/Fees) of $4Million, excluding their salaries etc. I have never seen such blatant abuse since the Kebble days!!! The minority shareholders of Gemfields were blatantly robbed and abused by PGL. The independent valuation of the Gemfields was just at £250-270M, yet PGL stole the company for $179M ( ± £138M). Thats the egregious scale of shortchanging suffered by the minority Gemfields shareholders and i can assure you those minority shareholders have reason NOT to touch anything by Brian Gilbertson again! And so should other shareholders in PGL. I see that they recon Tshipi is worth $1,44Bn. I would advise them to check themselves in on the nearest mental facility. NOT for a 3Mt/yr 37% Mn mine with the price at $4-5/dmtu! Sedibelo Platinum is just a stranded & hopeless PGM asset with production down 23% y/y and costs sky-high. Brian & his friends think its worth $1,5Bn….I will buy 2xLonmin & 2xRBPlats and still have $50M change! Thats the insanity of the said valuation…. The annual results are a mess and wont even bother analysing them given this glaring corporate governance failures. Share price says it all! Market does not like either the management team or their decision to mutate into an operating company. Poor shareholders have been duped into giving the “dreaming team” another few years at ripping them off! I Guess they deserve each other!